Ann brings nearly 20 years of branding and communications experience to ADK, with a focus on strategic development, product marketing and recruitment marketing. She started with recruitment advertising for the Oakland Tribune – and from there, gained experience with agencies specializing in recruitment advertising and employer branding. During her tenure with Bernard Hodes Group, Ann partnered with human resource groups across the spectrum – from startups to the Fortune 15 elite, healthcare to hospitality, high tech to high finance, aerospace to agriculture and more. She helped these diverse groups position themselves as the employer of choice to recruit specific talent. Ann’s expertise includes recruitment marketing, employer branding, content marketing, social media management, and custom website development, just to name a few. Her most recent work within the aviation industry – with an emphasis in ground support equipment manufacturing – resourced her marketing acumen to work collaboratively with airport and airline executives. 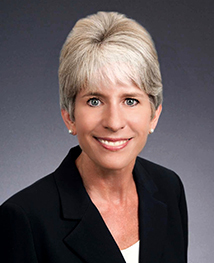 Ann earned a Bachelor’s in Organizational Studies with an Environmental Focus from Eckerd College. Outside of branding and communications, Ann is an avid marathon runner and dog lover.